Care2 Healthy Living | Is Sugar The New Tobacco? Is Sugar The New Tobacco? “Sugar is the new tobacco,” said Simon Capewell, professor of clinical epidemiology at the University of Liverpool. Being an ex-sugar addict, this news caught my attention right away. ‘Action on Sugar’ has formed a campaign to tackle obesity and diabetes in the UK. They are putting pressure on the government and industry to reduce the sugar content of food and drinks by up to 30%. The idea is to halt the obesity epidemic and reduce chronic disease in a practical way that will work and cost very little. I love what is happening in Great Britain and am proud of them! “The science says that sugar is dangerous exclusive of its calories, just like alcohol, the alcohol of childhood”. says chair of Action on Sugar Professor Graham MacGregor. Marketing ploys to cut calories is not working. Industry must lower sugar content of processed foods, UK doctors are saying. Action on Sugar says asking firms to make voluntary changes has failed. Political attempts such as New York’s fat tax on non-diet soft drink often fail because of powerful resistance from the food industry. There's a lot more sugar in the foods around us than we think. What they plan to do is educate people about “hidden sugars” and get manufacturers to reduce the ingredient over time. The goal is an eventual sugar reduction of 20 percent to 30 percent in three to five years. Done slowly like this, consumers will not notice the difference in taste. “Added sugar has no nutritional value whatsoever and causes no feeling of satiety. Aside from being a major cause of obesity, there is increasing evidence that added sugar increases the risk of developing type 2 diabetes, metabolic syndrome and fatty liver.” says Dr Aseem Malhotra, cardiologist and science director of Action on Sugar. Action on Sugar has a goal to tackle the obesity epidemic both in the UK and worldwide. 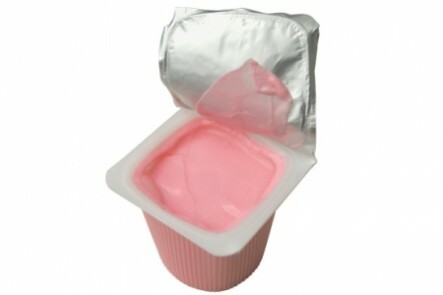 Yogurt, considered healthy by some, often has hidden sugar. Coca-Cola or Pepsi – 1 can has 9 teaspoons of sugar. Flavored water – Glaceau Vitamin Water has 4 teaspoons of sugar in a 500ml bottle. Sports drinks – 32 ounce Gatorade has 14 teaspoons of sugar. Yogurts – even zero-fat yogurts can contain 5 teaspoons of sugar. Ketchup – 3 tsp of ketchup has 1 tsp of sugar. Ready meals – Sharwood’s sweet and sour chicken with rice has 6 teaspoons. Heinz tomato soup- 4 teaspoons. Mars bar- 8 teaspoons of sugar per bar. 2 Slices of white bread- 6 teaspoons of sugar. A Harvard medical school study showed that the sugar in one can a day is enough to add four kilos or ten pounds of body fat a year. Drinking more than one can a day increases the chance of obesity by 60 percent. How much sugar do we consume? The average British person consumes 22 teaspoons of sugar a day. The average American consumes 22.2 teaspoons of added sugar each day. 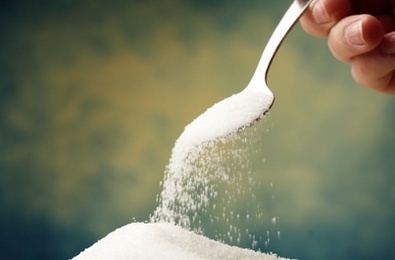 The average Canadian consumes 26 teaspoons of sugar per day! This latest news from Britain makes me wonder why we, in North America, aren’t following suit. Being overweight and obese is an even larger problem in North America. Diana eating a sugar free breakfast. Being an ex-sugar addict myself, I struggled with this for a major part of my life. My mother was a sugar addict and raised us on sugar. For instance I did not like milk so she would by chocolate milk with sugar in it to get me to drink it. She was doing what she thought was good for me. Little did she know that milk did not agree with me. Also, for supper we would sometimes have a chocolate bar, pop and chips. Not surprising I spent my childhood and much of my adult life being sick. I am grateful that I’m not sick, tired or a full-on sugar addict any more! 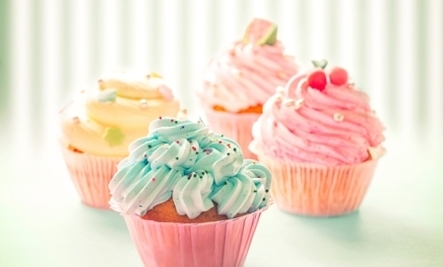 Tips on how to reduce your sugar cravings. Understanding of natural and synthetic sugars and which ones are best. 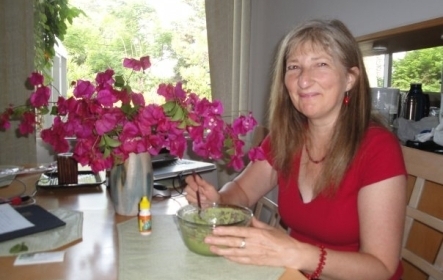 Online health courses where you learn to prepare cook sugar free healthy meals. Your body loves this experience and you naturally gravitate to eat healthier. the new tobacco?? People don't smoke it. Yes, however it is an addiction and that's the only correlation I see. Sugar should be used in moderation , better yet stevia plant leaves for sweeting.